I recently concluded a 3-month job search. As part of my networking, I met a number of unemployed people in other fields who were having trouble not only getting jobs, but even getting interviews. I talked to a lot of people and averaged about an interview a day, including phone interviews, mostly for development manager jobs. For every development manager job, there are multiple development jobs, so if you’re a developer, your situation is even better than mine was. I live in Southern California, but the demand is not just local. I had multiple contacts from companies outside the SoCal area that can’t find qualified candidates. I’ve been working again for over two months, I no longer have an active résumé on job boards, and I still get emails and calls every day from recruiters all over the country. The situation with Agile and Scrum right now seems to be that a lot of people are putting it on their résumé but most of them are bluffing. One hiring manager told me that he’d talked to three dozen candidates who claimed to know Scrum and only one (me) who actually knew it. Actually, you’d be surprised how little I’d be surprised by that. 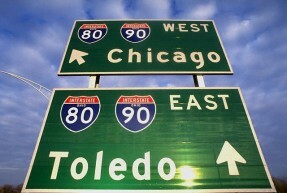 One recruiter contacted me about a 3-month Scrum Master contract in Toledo, Ohio. A glance at my résumé will tell you that I’ve never worked outside Southern California, so on a list of people likely to take a 3-month contract in Toledo, Ohio, my name would be far, far from the top, but the difficulty of finding a qualified candidate to fill that job is such that the recruiter contacted me anyway. If you really know Agile and/or Scrum right now, it’s a seller’s market.